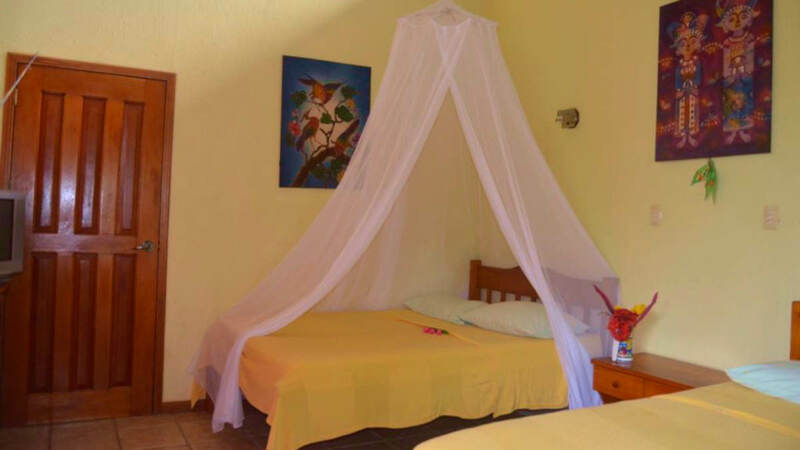 We offer two beautiful apartments surrounded by a wooden veranda, ideal for relaxing in hammocks. The bright rooms are comfortable and with European attention to details. 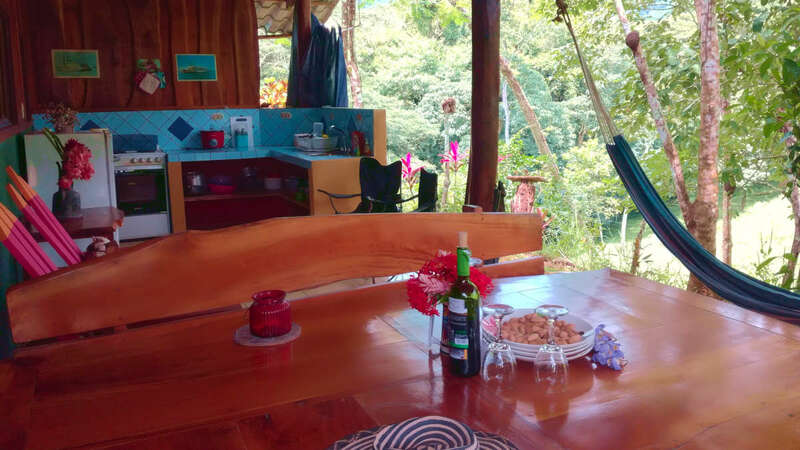 Two big sliding windows offer panoramic views into the garden and the verdant hills of Tambor. The living bedroom joins the kitchenette with a big refrigerator and coffeemaker. The spacious private bathroom with hot water has a big shower, hairdryer and WC. 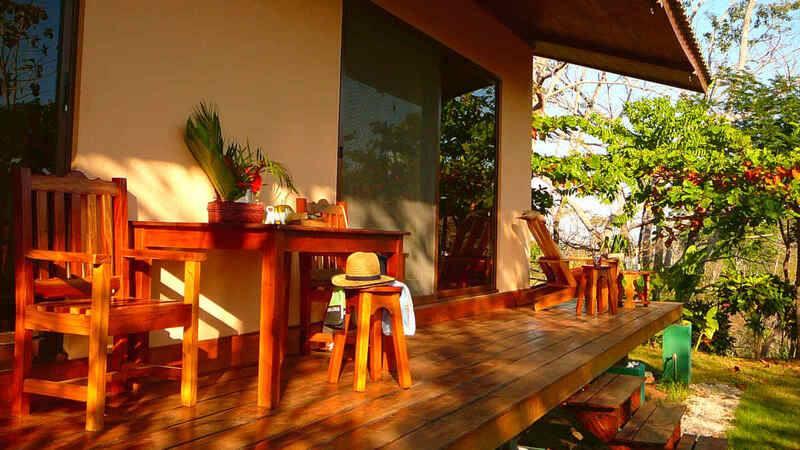 The bungalow is set in a separate area of our tropical garden. 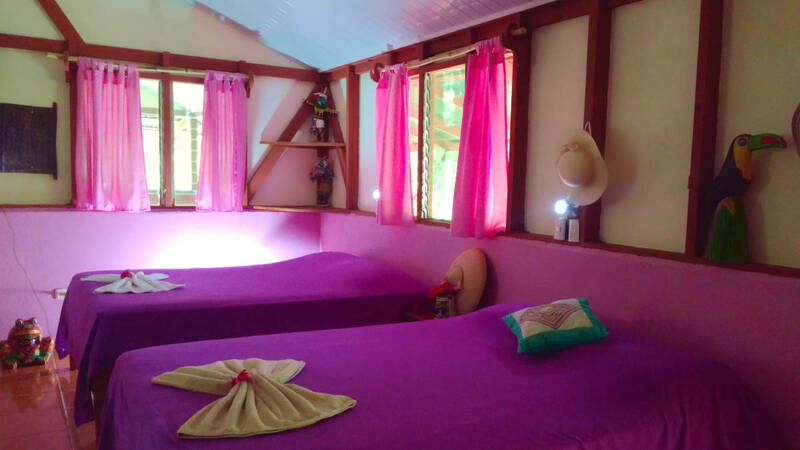 It's a private guest house with 2 bedrooms, each one equipped with 2 queen size beds and one single bed. It has a safe deposit box, one air condition, TV, a bathroom with hot water, shower, hair dryer and water closet. 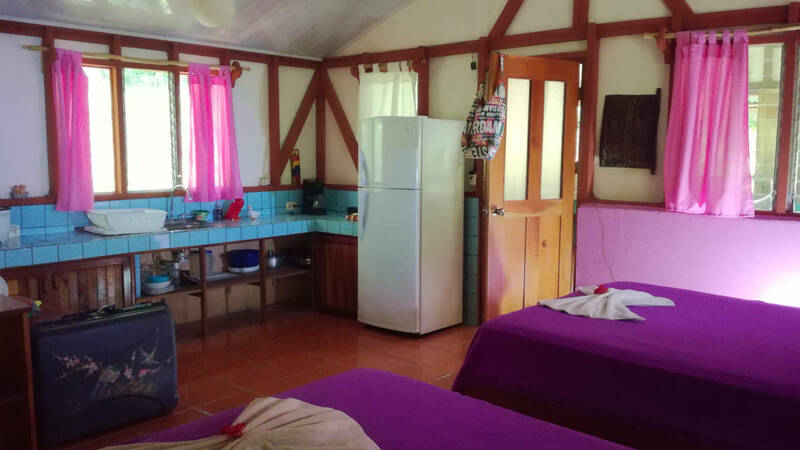 On the side of the bungalow is a fully equipped, roof covered, open air kitchen with a big refrigerator and coffee maker, dining area, hammock and a beautiful garden and farm view. From here you enjoy great bird and animal watching in the garden and the surrounding areas. 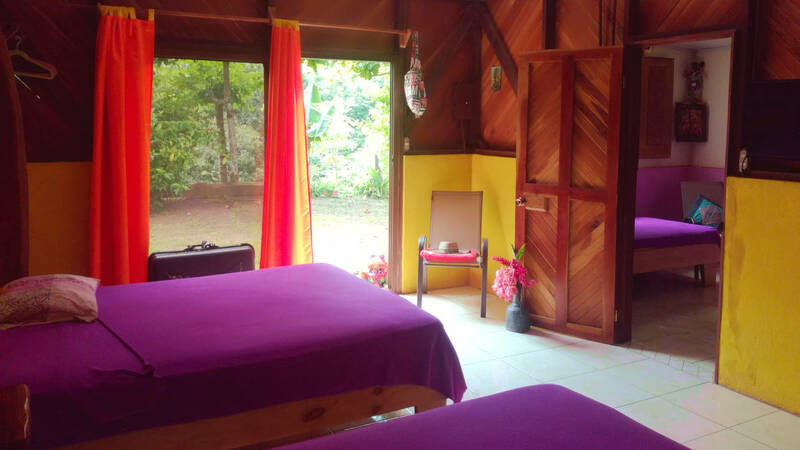 The 3 bedroom bungalow is set in a separate area of our large, tropical garden and 150 meters away from the main house, Wi-Fi and rancho. It is a private guest house with 3 bedrooms, a fully equipped kitchen, a little wooden terrace and a large ceramic terrace. One bedroom has 2 single beds, one bedroom has one queen bed, and the 3rd bedroom has 2 queen size beds. It has a safe deposit box, one air condition, TV, one bathroom with hot water, shower, hair dryer and water closet. The private parking area fits for 2 cars. Check in after 2 pm, please inform us about your arrival time and in case you arrive late. Please check the ferry times a day before arriving www.navieratambor.com. All rooms have a kitchen and you can prepare your own breakfast. Please inform us if you would like to have breakfast served in our Rancho, for 8 USD/Person (Children 3-11 Years 50%) Pets are allowed on request. Payments in cash only, we do not accept credit cards. Next ATM is at the Los Defines Golfclub or at your way in Paguera, Cobano or Montezuma. Some rates and dates require a deposit of 20% of the total amount, by credit card or Bank deposit, we will inform you. Free cancellation until 7 days before arrival date. Guest will be charged of the total amount in case of no Show less than 7 days before arrival date.